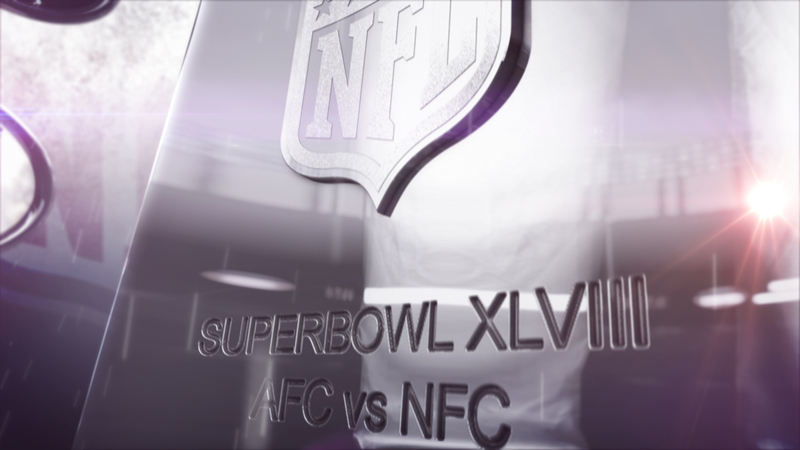 Jump created the title sequence for Channel 4’s live coverage of the NFL. 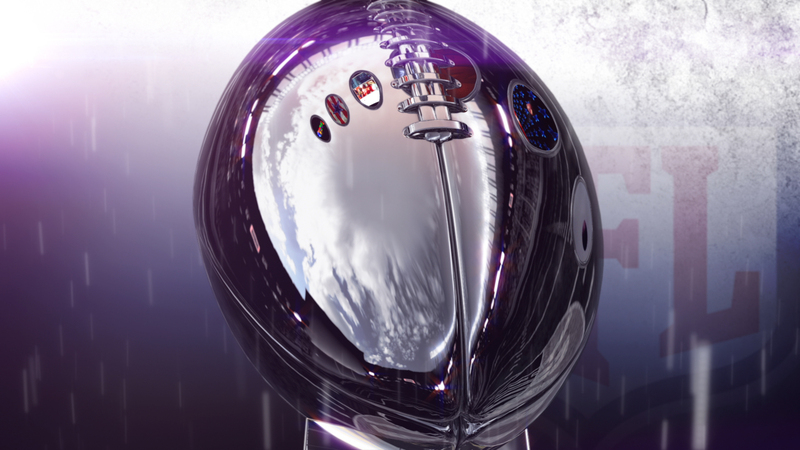 The sequence is based around the iconic Vince Lombardi trophy which contains a chrome football. 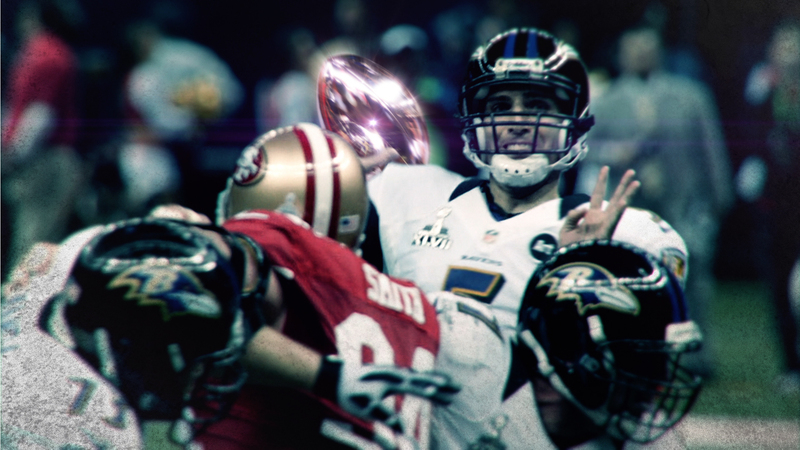 The emphasis on the award statue reflected that the Super Bowl was being shown live on C4 for the first time in 15 years. At the beginning of the sequence we see clips of old C4 title sequences reflected in the surface – this was a nod to the history of the sport on the channel as requested by the client. Once the sequence kicks in with great NFL action shots, we find the leather ball in the clips has been replaced by the shiny chrome football. This ball was built in 3D, then tracked and comped into the clips. Often this required parts of the players (like hands) to be rotoscoped and keyed back over the top.